I knew it was going to happen, it was only a matter of time. I had every intention of being monogamous to my current cardigan project, but it landed on Sleeve Island and it sort of took a bit of steam out of the entire experience. That, coupled with one of those “Oooh, shiny!” moments meant that I was winding up yet another skein of yarn to cast on a new project. I swear it was a quickie. Just the right amount of distraction from the stockinette merry-go-round of the first cardigan sleeve. It’s also a test knit for Joji using my MCN DK. 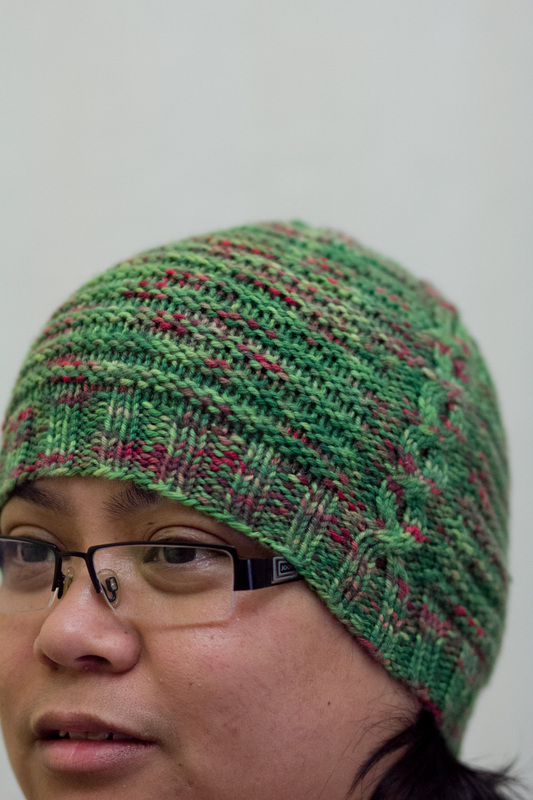 She made the prototype using the skein I sent her as a gift. To stay true to her design, I decided to use the same yarn base. I was worried about how busy this colourway was going to be and that the cable detail may not show up well. I should not have worried. The yarn brought out the details just fine. I love the sprinkle of bright red across the hat, just enough to give it contrast. I love the crown decreases! Although if you look closely you’ll see the spit where I knitted when I should have been purling. Doh. I love this hat. I hope Joji releases the pattern soon so you can all whip up your own Dubai Hats too! 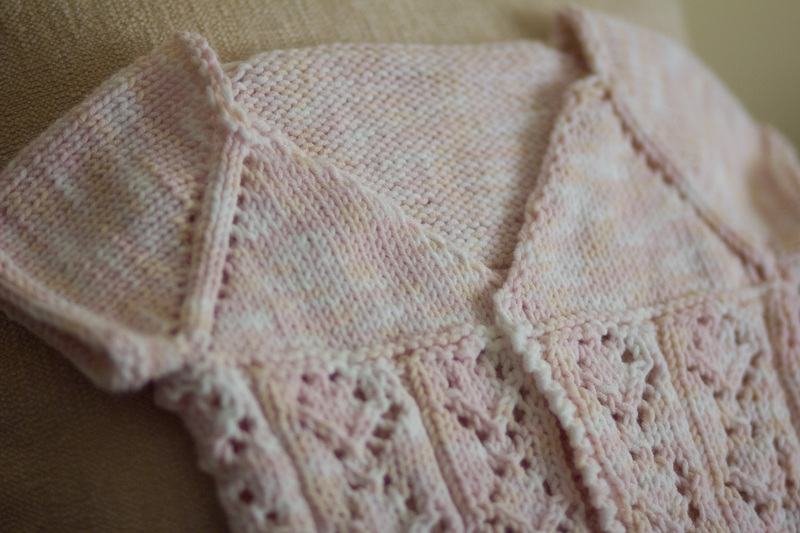 Another quickie is this soft pink baby cardigan for a colleague’s baby girl. I made the 6-month size so that she can get more wear out of it. This would be perfect around winter in the UK when they travel there. I made this just in the nick of time for the Q4 KAL over on the Irish Girlie Knits Group in Ravelry. I was feeling so bad about not participating in the KAL when I’m a co-moderator. 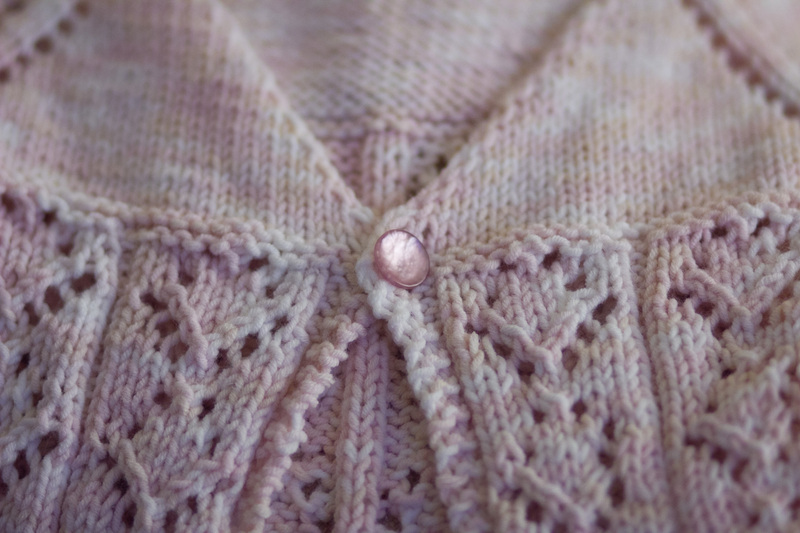 Then again, there was no push needed to get this baby cardi done because it was such a lovely and quick knit. I used what’s left of the Crystal Palace Bunny Hop, one of the oldest yarn in my stash. It’s so soft and lovely to work with. I’d buy another bag in a heartbeat, if I weren’t trying to be good and knitting from stash right now. That’s all the quickie projects for now. I’m back to finishing cardigans. A second Goodale in Sundara Yarn Sport Merino (Mint Julep) for the Sweater KAL, Ohlala by Joji in Wollmeise DK and Sundara DK Merino for her Fall KAL and a Serra in Tosh MCN Worsted. 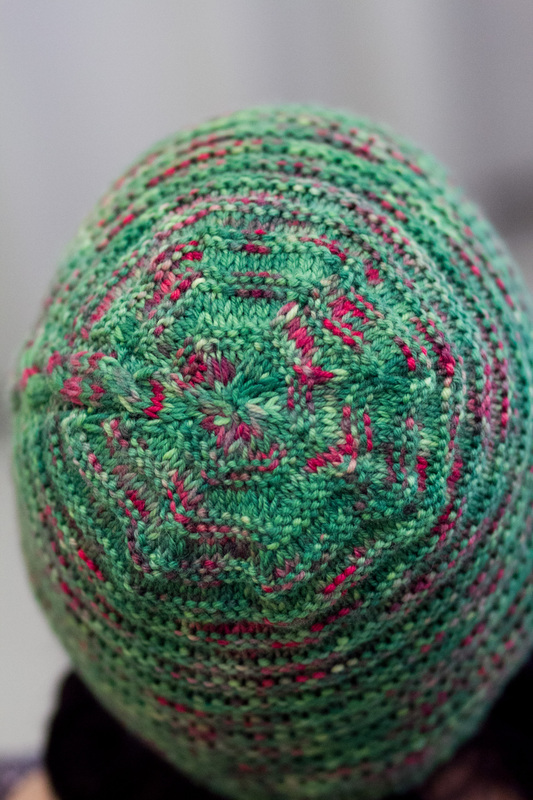 Love the hat, the colorway is sooo watermelon! Love it!!! You’ve got a nice knitting queue going there! I’m stuck on never ending sleeve island too. Love the little baby sweater, so very pretty.